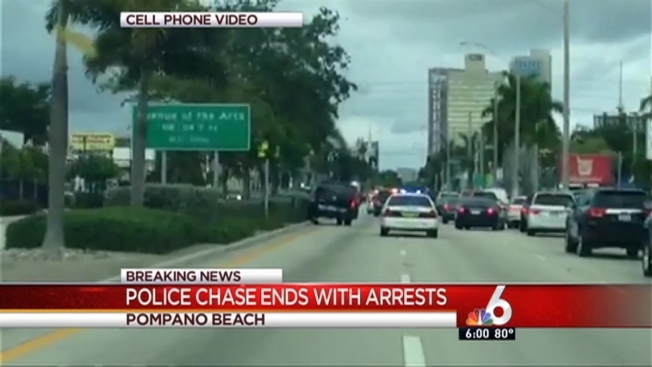 A police chase Wednesday afternoon that started in Fort Lauderdale and continued onto I-95 and several side streets came to an end in Pompano Beach. Chopper 6 was over the scene as more than 20 officers chased the white Scion through Broward County, the driver maneuvering through multiple residential areas. Officers were finally able to stop the driver and take him into custody at Northwest 6th Street and 27th Avenue. Fort Lauderdale Police say the suspect that lead the chase had stolen the car, which is tied to a homicide in Fort Pierce. 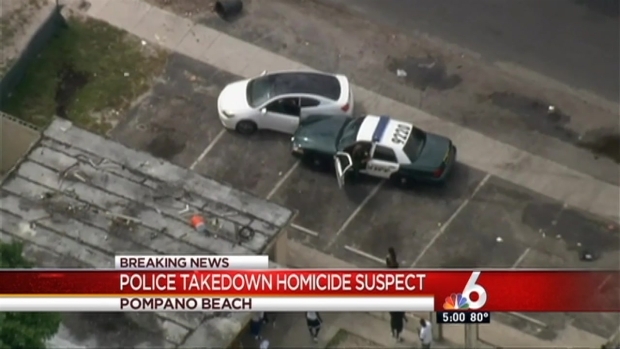 A police chase ended in Pompano Beach Wednesday afternoon. NBC 6's Marissa Bagg reports. The suspect was later identified as 32-year-old Lenord Henley. He's charged with grand theft of a motor vehicle, aggravated fleeing and eluding, reckless driving, driving with a license suspended. He was also arrested on a warrant for attempted first-degree murder and possession of a firearm by a convicted felon, Fort Lauderdale Police said. Henley was being held without bond Thursday, It was unknown if he has an attorney.